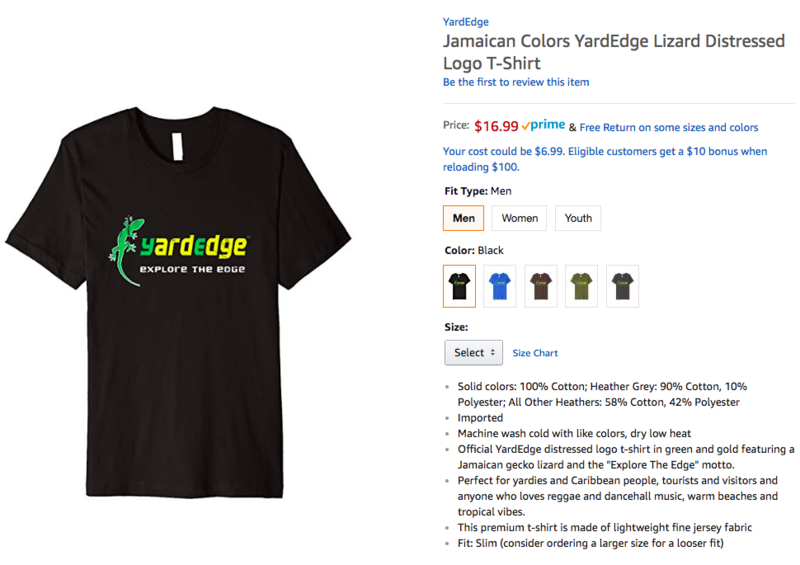 This is our official YardEdge distressed logo t-shirt in green and gold featuring a Jamaican lizard and the “Explore The Edge” motto. 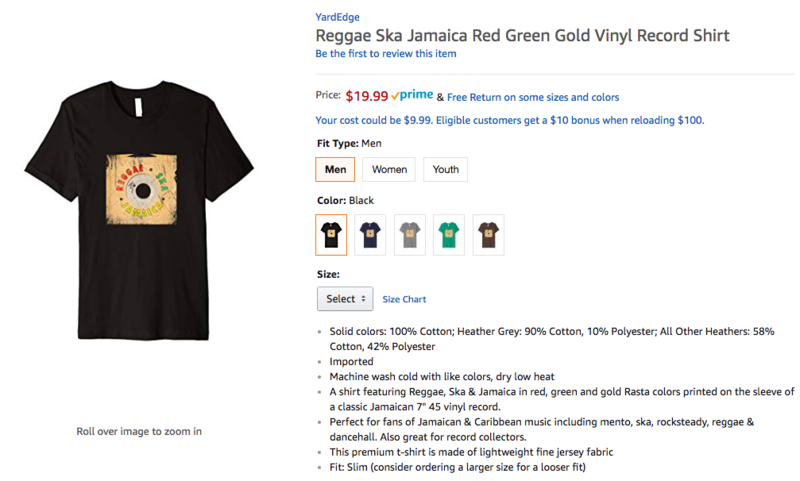 Perfect for yardies and Caribbean people, tourists and visitors and anyone who loves reggae and dancehall music, warm beaches and tropical vibes. This premium t-shirt is made of lightweight fine jersey fabric – solid colors: 100% Cotton; Heather Grey: 90% Cotton, 10% Polyester; All Other Heathers: 58% Cotton, 42% Polyester. This is a slim fit t-shirt.